Having a strong content marketing strategy is a cause for celebration, no matter your brand’s industry. However, standards and techniques for defining success remain nebulous for many brands. So where should you start? 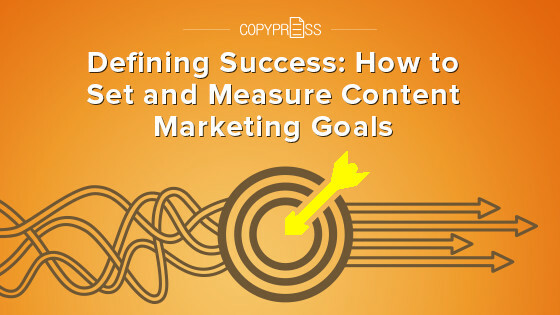 Find out how to set and measure content marketing goals and establish a successful strategy. Whether you’re writing about unicorn-themed foods, off-the-beaten-path travel destinations, or auto maintenance, you want your readers to engage with the content you produce. For most content marketers, audience engagement is one of the most essential goals. After all, content that doesn’t generate engagement won’t do much for your brand. To determine how engaged your audience is, start by checking Google Analytics to assess the average amount of time your audience spends on each page of content you produce. If the average time on page is just a few seconds and the bounce rate is high, consider it a sign that your audience isn’t connecting with your content. Another way to assess engagement is to monitor the number of reader comments you receive on each post. 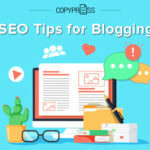 As you build a community around your brand, you can aim to get more comments on every blog post you publish. While great content is key to generating engagement, many content marketers also establish website traffic goals and track how various blog posts and branded content direct traffic. After all, high-value content has the power to attract visitors to your website, educate them about your brand, and encourage sales and other conversions. Don’t stop at merely measuring the number of visitors each page gets. Use Google Analytics to dig into visitor behavior and discover more about your audience’s reading patterns and pathways to conversion. Whether you have a highly visual brand that performs well on Instagram, a brand that connects with consumers on Facebook, or a business-to-business (B2B) company that does best on LinkedIn, social exposure is crucial. To monitor social exposure and assess how well your content is performing, use each platform’s built-in metrics or your preferred third-party social app. Set a goal for the number of likes, comments, and shares you want to generate, and track them closely. If your brand opts to incorporate paid social exposure into your strategy, be sure to track organic and paid metrics separately. Keeping the two channels distinct helps you understand what happens as a result of your social reach and brand awareness and what your social ad budget contributes. When you produce high-quality content, you don’t want it to exist in a vacuum. 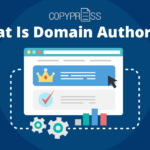 Instead, you want it to provide value to your readers and help you establish brand authority in your industry. An easy way to track content authority and viral potential is to monitor the referral and inbound links your content generates. Google Analytics can alert you to sites that send a lot of traffic to your site, but this tool doesn’t work as well for tracking referral links over time. For a more comprehensive look at your content’s inbound links, use a tool like Moz Link Explorer, which can help you identify, evaluate, and improve your backlinks. Every brand needs a steady stream of leads to stay in business, and a strong content strategy can do much of the heavy lifting. Before you create each piece of content, be sure to consider what it’s going to do for your brand. 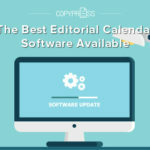 Note whether you want it to encourage newsletter signups, blog subscribers, content downloads, or another form of lead generation. Then add the appropriate call to action (CTA) to guide readers toward your desired result. While you may be able to track leads effectively using your customer relationship management (CRM) system, you should also set up tracking events using Google Analytics. Monitor click-throughs, form completions, or downloads to make sure you’re hitting your lead generation goals. In many cases, your brand’s content can also help readers transition from warm leads to customers. 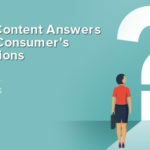 Unless your readers arrive on your site when they’re already in the decision stage of the buyer’s journey, they may need to consume a series of high-quality content before converting to customers. However, you won’t know whether the engaging video, well-researched blog post, or case study did the trick if you don’t track customer metrics. To track the intersections between your customers and your content, try using a high-powered CRM like HubSpot. With this type of tool, you can better understand which content sequence performs best and which content converts. You’ll also get a more comprehensive picture of the return on investment (ROI) for each piece of content. 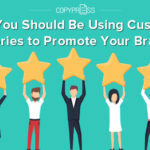 Making sure your customers consume the right content for their stage of the buyer’s journey isn’t always easy, but doing so can give your brand a boost. Naturally, when your content nurtures leads effectively and guides them effortlessly to the next stage, you can gradually shorten the length of your company’s sales cycle. Over time, that can mean more revenue and improved marketing automation. First, make sure you know the length of your sales cycle, and then set a goal to shorten it. Use your CRM and sales data to measure the total time you spend nurturing leads, and identify content assets or other actions that speed up the cycle. Converting a customer once certainly counts as a success, but most brands want to turn their buyers into repeat customers. After all, new customer acquisition costs five times more than what you’ll spend on retaining a loyal customer. From targeted emails to special offers to exclusive content, you can easily use content to encourage customer loyalty. Use your CRM to track sales and content for each customer you’ve retained so you can get a big picture of the total ROI. 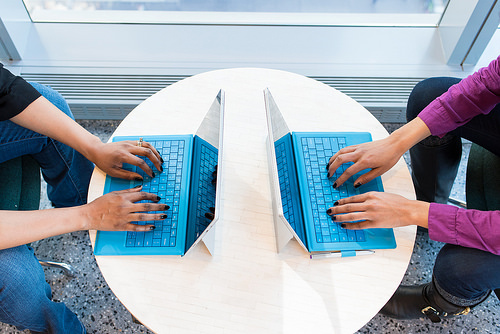 Whether you need a hand getting your content marketing strategy off the ground or you need better content to meet your goals, you’ve come to the right place. Connect with the CopyPress team to learn how we can help you produce great content that increases visibility and takes your brand to new heights.